Fire and Rescue NSW is committed to keeping the people of NSW fire safe and continues to conduct research that better informs building code legislation and product standards to improve fire safety. 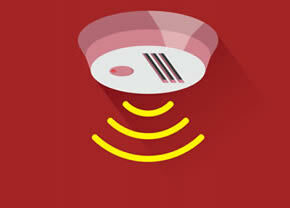 Smoke alarms have had a significant impact on reducing the number of fatalities in residential fires over the past 10 years however based on FRNSW research findings, a combination of fire sprinklers and working smoke alarms significantly improves the safety of occupants in the event of fire. Sprinkler systems have been successfully used to protect lives and property in industrial and commercial buildings for many years. Extensive research conducted by FRNSW confirms fire sprinkler systems also significantly improve the safety of occupants in the event of a fire and should be mandated in all Class 2 and Class 3 shared residential buildings up to 25 metres in height. At the moment, sprinklers are only compulsory in all residential dwellings above 25 metres in height. FRNSW’s focus continues to be on prevention but in the event of a fire, FRNSW supports the use of residential sprinkler systems to help control residential fires and prevent fatalities, injuries and damage. FRNSW believes that all new residential buildings up to 25 metres in height should have residential sprinklers installed. The extensive residential fire safety research, which informs best practice in residential fire safety, was conducted by Fire and Rescue NSW’s Fire Investigation & Research Unit (FIRU), supported the Commonwealth Scientific and Industrial Research Organisation (CSIRO), Fire Protection Association of Australia (FAA), Australasian Fire and Emergency Service Authorities Council (AFAC), Australian Building Codes Board (ABCB) and its member agencies and industry partners. The research determined that fires in modern homes spread in less than 5 minutes compared to older homes (built between 1950-70) which took around 29 minutes to spread. This demonstrates modern residential buildings and furniture/furnishings are more flammable than in previous years and that there is less time for people to evacuate safely in the event of a fire. Residents would greatly benefit from the installation of sprinkler and smoke alarm systems. Residential sprinklers suppress fires and complement the early warning capabilities of smoke alarms as well as help to contain a fire to reduce the risk of fatalaties, injuries and damage. 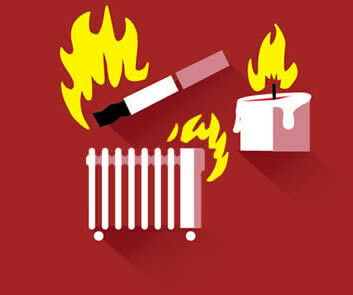 The use of heaters, cigarettes and candles are common causes of fires. 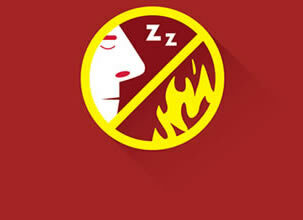 When you're asleep, you won't smell the smoke from a fire. You're twice as likely to die in a home fire if you don't have a working smoke alarm. residential fires each year. Half of these fires start in the kitchen, mostly due to unattended cooking. 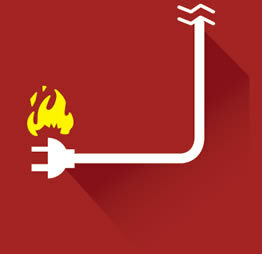 Electrical appliances and faults cause almost 40% of home fires.